Russian President Vladimir Putin said on March 1 that his State of the Nation Address to the Federal Assembly was a landmark event. "Respected members of the Federation Council and deputies of the State Duma, today’s address bears a special, landmark aspect, just like the time, in which we are living, when the significance of our choice, the significance of each step and each deed are exceptionally high," the president said. According to Putin, such steps determine the country’s destiny for decades to come and at such turning points Russia has more than once proven its ability to develop. 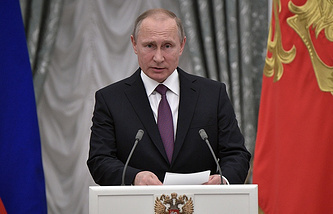 The address is traditionally delivered at the Kremlin’s St George Hall where the president gives his speech to members of both houses of the parliament. The coming years will be decisive for Russia’s development, the country needs to feel the challenges of the time regardless of who will be elected head of state on March 18, 2018, according to the president. 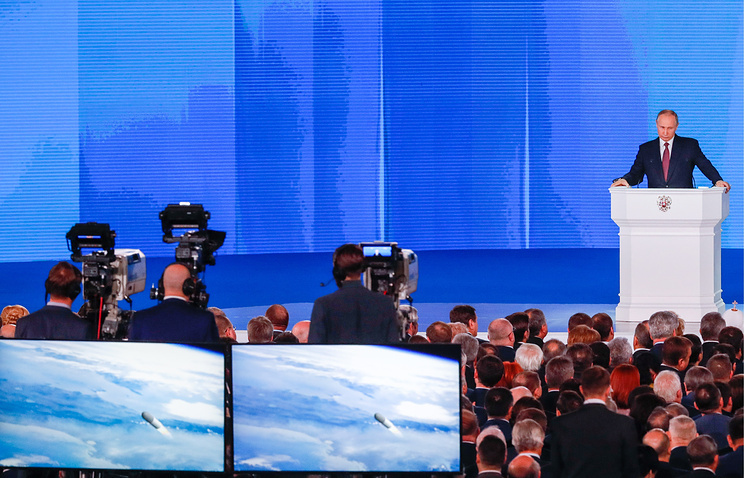 According to Putin, "the next few years will be decisive for the country’s development" depending on how it will be able to respond to the challenges of the technological revolution. This is unrelated to the internal political cycle and the presidential election, Putin emphasized. "Whoever is elected president, every Russian citizen, all of us must feel and realize what is happening in the world around us and what challenges are facing us," said the head of state who is seeking another term as Russian president. It is necessary people have "healthy and active life, when diseases do not limit and constrain people," he continued. "I am confident, this objective - noting the positive recent dynamics - is realistic." According to the president, in 2000, life expectancy was slightly over 65 years, and in 2017, it hit the historic record of almost 73 years. Vladimir Putin said in his State of the Nation Address to the Federal Assembly that Russia’s key task for the next six years is to halve level of poverty. "We must solve one of the key tasks for the coming decade - to ensure a confident, long-term growth of real incomes of our citizens, and in six years, at least to halve the level of poverty," Putin said. According to Putin, the entire system of social assistance should be based "on the principles of fairness and targeting." "It (social assistance - TASS) should be provided to the citizens, families that really need it," the President said. It is necessary to secure stable population growth in the next 10 years, according to the president. "In 2017, the working-age population reduced by almost 1 mln. This downward trend will continue in the next years, which may considerably restrict the economic growth, as there are just no labor forces. It is necessary to secure a stable natural growth of the Russian population in the next decade," Putin said. "Overall, we need to channel no less than 3.4 trillion rubles ($60 billion) into demographic development measures, the protection of motherhood and childhood in the next six years. This is 40% more than in the previous six years," Putin said in his address to both houses of Russia’s parliament. Average life expectancy in Russia should be over 80 years by the end of next decade, Putin said. "By the end of next decade, Russia should join the club of "80+" countries, where life expectancy is over 80 years," the president said. Those beyond the working age should receive high-quality healthcare and social services. "Our moral duty is to support people of the older generation, who made a huge input in development of this country," the president said. "The elderly should have decent conditions for active, healthy long lives." "My opinion is that the future new government must offer a special program for systematic support and raising living standards for the elderly," Putin said. According to the president, in 2000, the life expectancy in Russia was slightly over 65 years, and in 2017, it hit the historic record of almost 73 years. "By 2024 we will ensure a quick access to the internet practically country-wide," the president said. He also pledged that the construction of fiber optic carriers will be completed to most settlements with a population of more than 250 people. Small remote settlements of the Far North, Siberia and the Far East will get stable access to the web via Russian satellites, Putin said. "Urban refurbishment should be based on the broad use of advanced technologies and modern architectural solutions, while social facilities, public transport and utility services should involve digital technologies," he said. "Such a large-scale project will provide new economic and social opportunities to people, as well as a modern environment, while small businesses and startups will have a chance to come up with cultural and civil initiatives. All of this will facilitate the establishment of a broad and active middle class in Russia," the president added. According to him, the project’s success will to a large extent depend on city and regional authorities and their readiness to respond to the needs of people belonging to different generations. "It is important that urban development becomes a driving force for the entire country as a few megapolises should not be the only centers of active life in Russia but these cities should spread their energy and serve as a basis for balanced spatial development throughout Russia," Putin pointed out, adding that modern infrastructure was an important development factor. utin stressed the need for securing Russia’s stable population growth in the next 10 years. "In 2017, the working-age population declined by almost 1 mln. This downward trend will continue over the next few years, which may considerably limit economic growth, given that the labor force is drying up. It is necessary to ensure a stable natural growth of the Russian population over the next decade," Putin said in his State of the Nation Address to the Federal Assembly. Russia is feeling the effects of the demographic losses of the 1990s, the president stressed. "This is chiefly a decline in the birth rate, because families are starting to create a small generation of the 1990s," the president noted. He added that Russia’s demographic policy of the last years proved its effectiveness. "And we kept moving forward, expanded it, prolonged the maternity capital program, provided targeted allowances for the birth of a first, second and third child. In five years, more than half a million families with children will be able to improve their housing conditions through a privileged mortgage. A reconstruction program for children’s health centers and child outpatient departments in hospitals are also being launched," Putin pointed out. An increase of the gross domestic product (GDP) per capita by 1.6 times by mid-2020 is one of key tasks of the state, Putin said in his State of the Nation Address to the Federal Assembly. "Russia should not merely firmly fix its position among the top five economies of the globe but also to increase GDP per capita by 1.5-fold by the middle of the next decade," Putin said. "This is a very challenging task but I am confident that we are ready to solve it," Putin said. "More than 4% of GDP in average should be allocated every year for development of the healthcare sector in 2019-2024, although 5% should definitely be a target. It will mean in absolute terms that overall healthcare expenses must grow twofold. At the same time, additional opportunities for financing should be found, which do not restrict economic growth," the president said. Russia should have food export figures above imports in four years, the president said. "We had a strong dependence on imported food supplies as early as in the beginning of 2000s, the situation has changed dramatically. Now we have to make the next step. 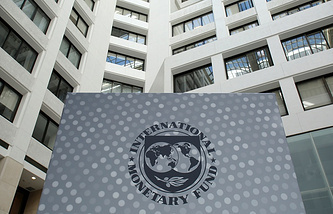 We plan to supply more food to global markets than import already in four years," the head of state said. It is necessary to increase exports of meat products, advance processing products, and increase self-sufficiency of the country by meat, dairy products and vegetables, Putin said. The automobile traffic along the Kerch Strait Bridge (the Crimean Bridge) will be opened in a few months, Russia’s President Vladimir Putin said when delivering the State of the Nation Address on Thursday. "In a few months already, we shall open the automobile traffic along the Kerch Strait Bridge, and next year - the railway traffic will be opened," he said. "This will give an impetus to development of Crimea and Russia’s entire Black Sea region." 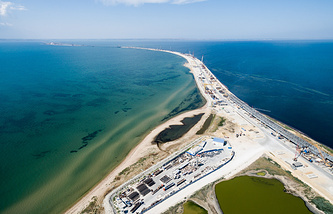 The bridge connecting Crimea to the Russian mainland by road and rail will be the longest in the country and one of the largest in Europe. Its span will stretch across 19 kilometers. It has two parallel passages - for automobiles and for trains. The new transport hub will help transport 14 million passengers and 13 million tonnes of cargo per year. Construction and installation of the bridge kicked off in February 2016. It originates on the Taman Peninsula, runs through a five-kilometer dike area and the Island of Tuzla, then crosses the Kerch Strait and reaches the Crimean coast. The project’s price tag comes to about 228 bln rubles ($4 bln), and 60% of this sum has already been financed (144 bln rubles ($2.55 bln)). According to information provided in the middle of the autumn, almost 167 bln rubles ($2.9bln) (almost 75% of the contract sum) had been shelled out on the bridge’s construction since the state contract was signed in February 2015. Expenses for developing all roads should be doubled to 11 trillion rubles ($194.37 bln) over the next six years, he said. "In total, over the next six years, it is necessary to almost double the expenses for constructing and developing roads in Russia, to allocate more than 11 trillion rubles ($194.37 bln) for this purpose from all sources. This is a lot, bearing in mind that in 2016-2017 we used 6.4 trillion rubles ($112.82 bln) for it," Putin said. Putin noted that federal roads in Russia have been largely fixed, but the situation is worse with regional and local roads. According to the president, heads of Russian regions and cities must increase the quality and volume of road construction, using new technologies and solutions, infrastructure mortgages, life cycle contracts. According to him, the most important task is to increase road traffic safety, at least to reduce traffic-related death rate. The throughput capacity of the Baikal-Amur and Trans-Siberian Railways in direction of seaports and borders crossings in the Far East should grow 1.5-fold to 180 mln tonnes in six years, he went on. "The throughput capacity of the Baikal-Amur and Trans-Siberian Railways will grow 1.5-fold in six years to 180 mln tonnes. Containers will be delivered from Vladivostok to the western border of Russia in seven years. This is one of infrastructural project providing for a quick economic return. Goods are present there and all the investments will be paid back very quickly and will promote development of these territories," Putin said.